True story, and it’s why I went by myself. I was very pleasantly surprised to find that the cliff-diving hamsterball amid a volcano-powered dinosaur stampede marked the end of Act I. As were pretty much all the scenes from the trailers¹. Nice! In that spirit, I won’t spoil the film for you. I will, however, state that it doesn’t really feel new. 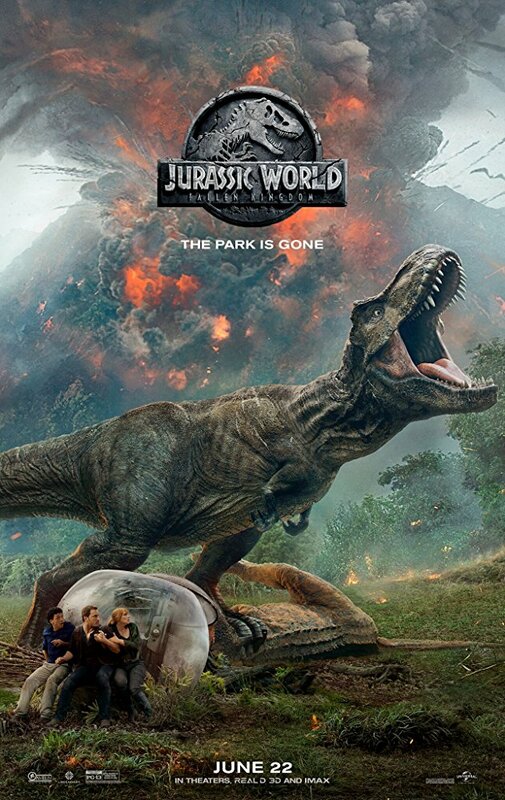 I did enjoy it more than Jurassic World, however. Much more competence on display, for starters. Plenty of stupid mistakes, too, but the people who are supposed to be good at their jobs are quite good at them. Aaand some of them get eaten by dinos. 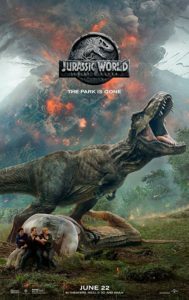 Jurassic World: Fallen Kingdom clears my Threshold of Awesome because I was having fun pretty much the whole way through. ¹ Updated to add: I guess I didn’t see ALL the trailers. The movie didn’t get spoiled by trailers for ME, but it definitely got spoiled for other folks.